Kumar Galhotra assumes his new duties March 1. 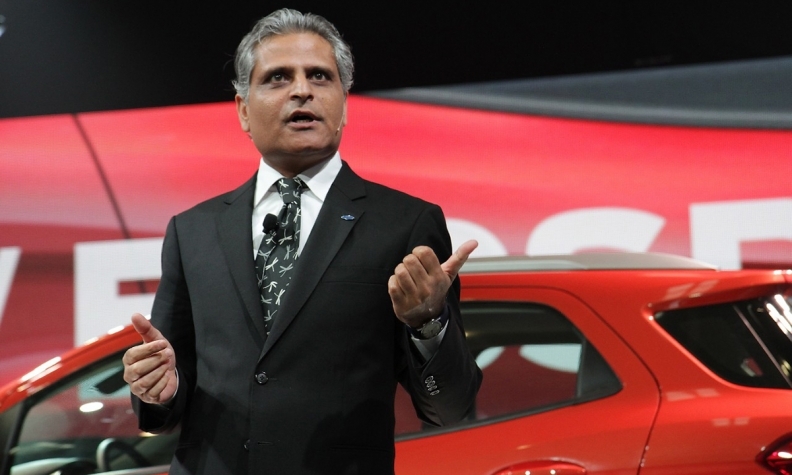 DETROIT -- Ford Motor Co. on Thursday tapped Kumar Galhotra, a company veteran who steered the Lincoln luxury brand back to respectability, to replace Raj Nair, who was ousted Wednesday after an internal investigation uncovered "inappropriate behaviour," as its president of North America. Galhotra, 52, will take over Nair's duties in North America on March 1. He previously was group vice president, Lincoln and Ford's chief marketing officer. Galhotra had added chief marketing officer to his duties Nov. 1 last year. FROM OUR ARCHIVE: Can Ford's new marketing chief keep winning? "Kumar is an incredibly talented executive with a special feel for product and brand. He is also a seasoned leader who knows how to drive a business transformation," Jim Farley, Ford's president of global markets, said in a statement. "Kumar is the right person to lead our North American business to new levels of operational fitness, product and brand excellence, and profitability." Joy Falotico will take over Galhotra's duties as group vice president of Lincoln and chief marketing officer, effective March 1. Falotico, 50, previously was CEO of Ford Credit. She will continue to serve as its chairman. "Joy has been a driving force behind not only Ford Credit's consistently strong financial performance but also its business model innovation and transition to a digital customer platform," Farley said. "She brings marketing experience and a deep customer focus as Ford enters a very busy new product launch period to drive growth in revenue and profitability." David McClelland will succeed Falotico as CEO of Ford Credit. McClelland, 48, was most recently executive vice president, marketing and Asia Pacific. Stuart Rowley was named COO of North America, and will report to Galhotra. Rowley, 50, was previously vice president of strategy. He will be responsible "for driving the redesign of the North American business to improve its overall fitness," Ford said. John Lawler will succeed Rowley as vice president of strategy. Lawler, 51, will report to CFO Bob Shanks . He was most recently Ford's corporate controller. Cathy O'Callaghan, 49, will succeed Lawler as Ford's corporate controller. She most recently was CFO of Ford South America.